Notes: Finally, It’s iPhone’s Turn! General notes. You can add a note at any time, and it can be about anything. Simply tap the Notes tab. Connect with community. 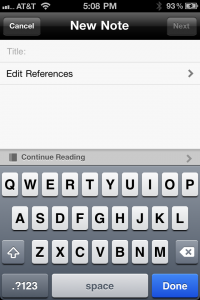 “Share” any note to post it to Twitter or Facebook, “Like” a note to display it in a list of your favorite Notes on your profile on YouVersion.com, even “Report” a note to flag it as inappropriate. Draft. A note “in progress”—one that’s not quite ready for prime time. Private. Only you will see this note. This is a great way to journal for yourself about the things that God is showing you in His Word. Public. Your note will be visible by anyone. One of the greatest benefits of notes, public notes allow others to share in your journey through the Scriptures—and you in theirs. Publish on: The note will be Private for now, but it will become Public on the date you specify. 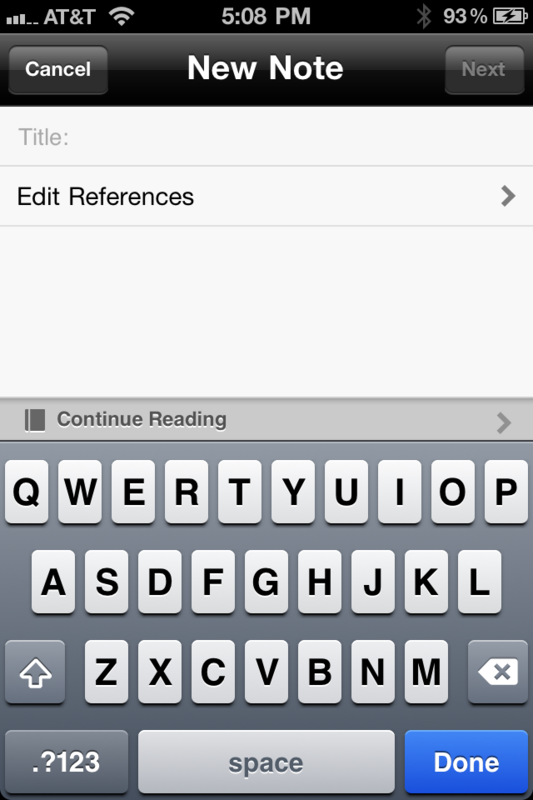 TIP: You can change a note back and forth between the different sharing options at any time. Many of you have been asking us to bring notes to the iPhone for a long time now, so of course we’re thrilled to be able to provide it for you. But this is still just the beginning. We’re really excited about all the continued advancements and improvements still to come. In the meantime, enjoy your Bible! And please share your experience with others! 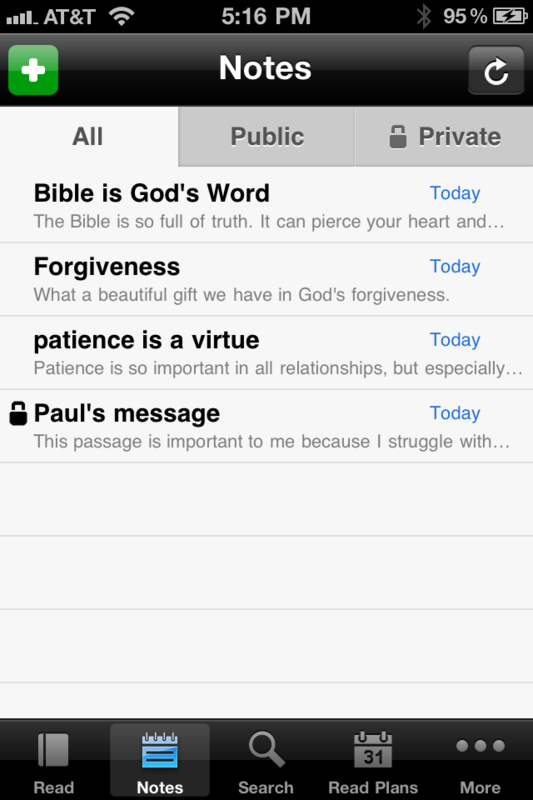 Previous PostPrevious The Bible App – now on Chrome!